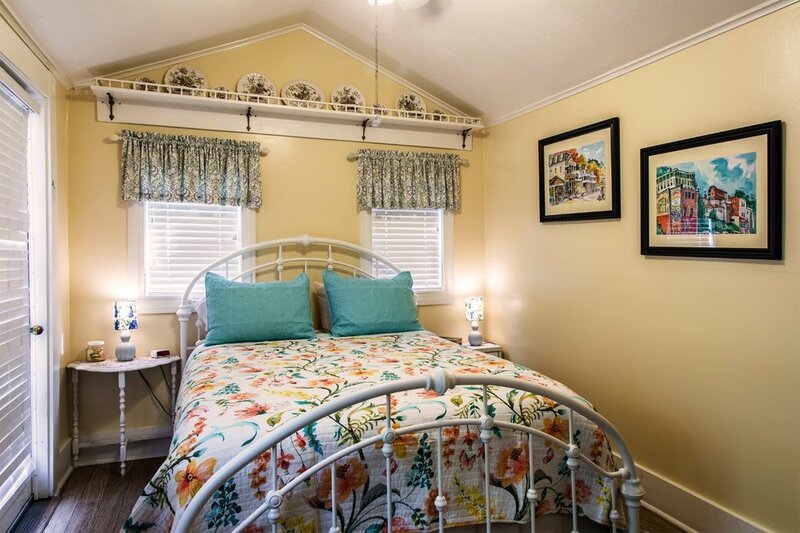 A playful touch of jonquil yellow and sky blue adds to the charm of the Silent Springs Suite, which is situated on the lower level of the main house. It is only steps from our romantic rock garden, has its own exterior entrance, and is completely private. 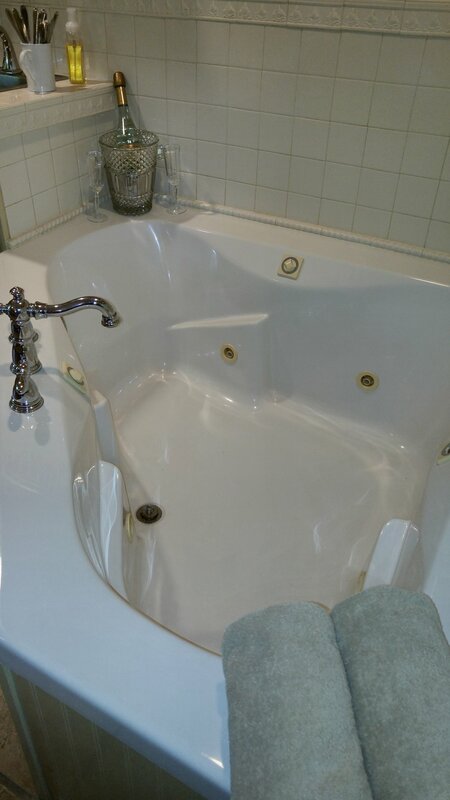 The suite's bathroom has a large oval hot tub, uniquely built into a 20th Century bed frame, which provides a relaxing bath. 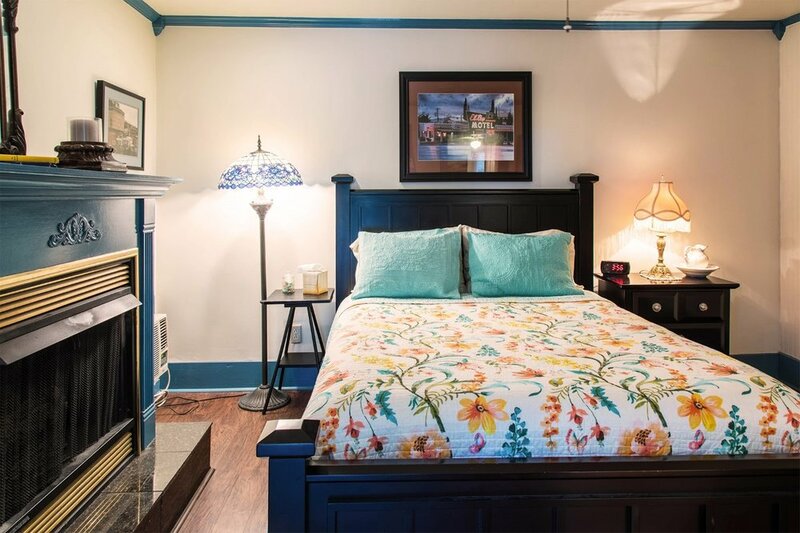 This room also features a private balcony/deck with outdoor furniture, enhanced cable television for your viewing pleasure, gourmet coffee/tea supplies, as well as free Wi-Fi. Of course, do not forget our tremendous breakfast... delivered to your suite each morning. 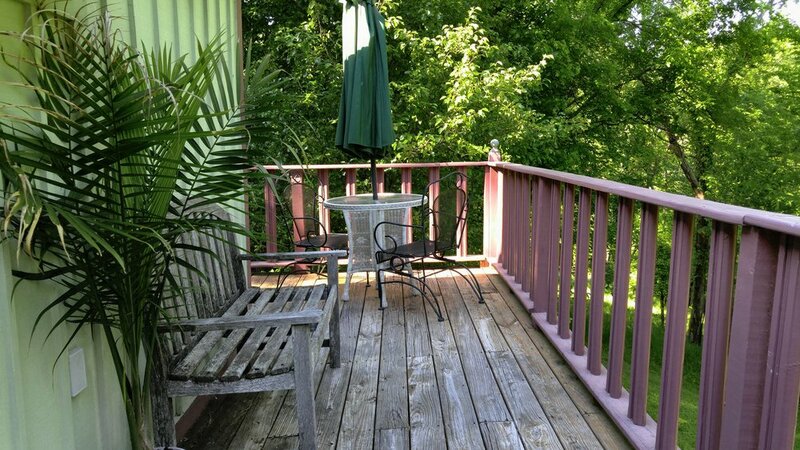 In this spacious cottage you will discover a large in-room hot tub for two, thick and soft cotton towels, a gas-log fireplace, gourmet coffee/tea supplies, a refrigerator, microwave, and an excellent view of the Christ of the Ozarks statue and the surrounding mountains. 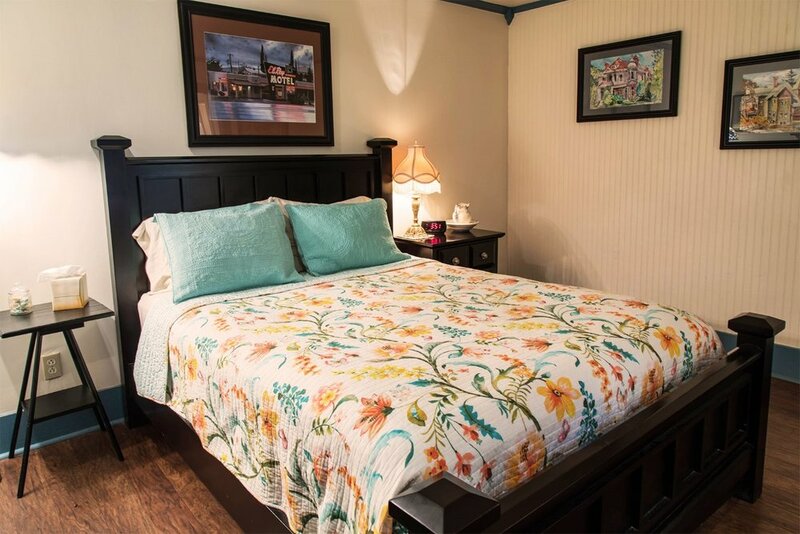 You will enjoy the sounds of nature, a four-poster queen size bed with pillow top mattress, a private deck with comfortable outdoor furniture, enhanced cable television for your viewing pleasure, as well as free Wi-Fi. Of course, do not forget our tremendous breakfast... delivered to your cottage each morning. Complete privacy is promised in this little, cozy cottage, which was, in 1902, the property's “carriage house.” Today, the gorgeous cottage has a wrap-around deck, complete with outdoor furniture, and a breathtaking view of the mountains. 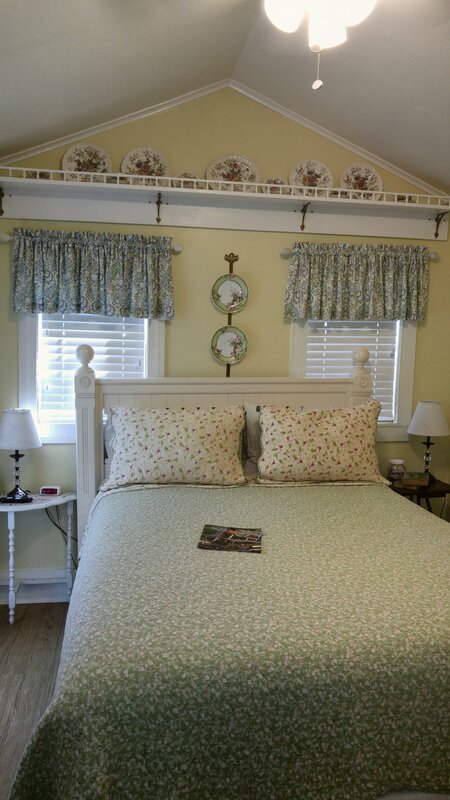 The Northlawn Carriage House reflects a relaxed lifestyle, and the personality of a romantic country weekend. 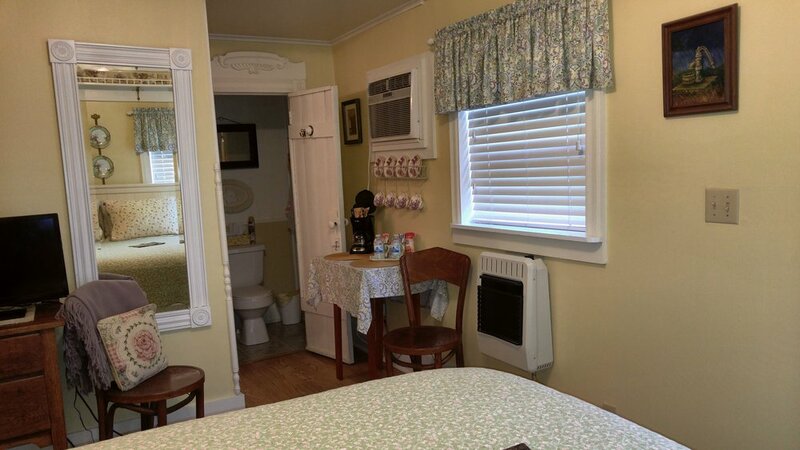 It has a cute bathroom with a spacious walk-in shower. 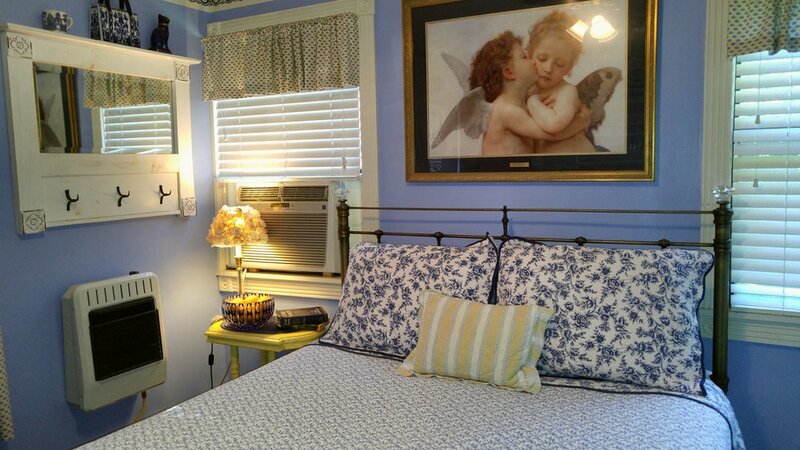 This cozy room is filled with delightful cottage antiques and accessories, a queen size bed with pillow top mattress, enhanced cable television, gourmet coffee/tea supplies, as well as free Wi-Fi. And, of course, we deliver a hearty breakfast to the cottage each morning. 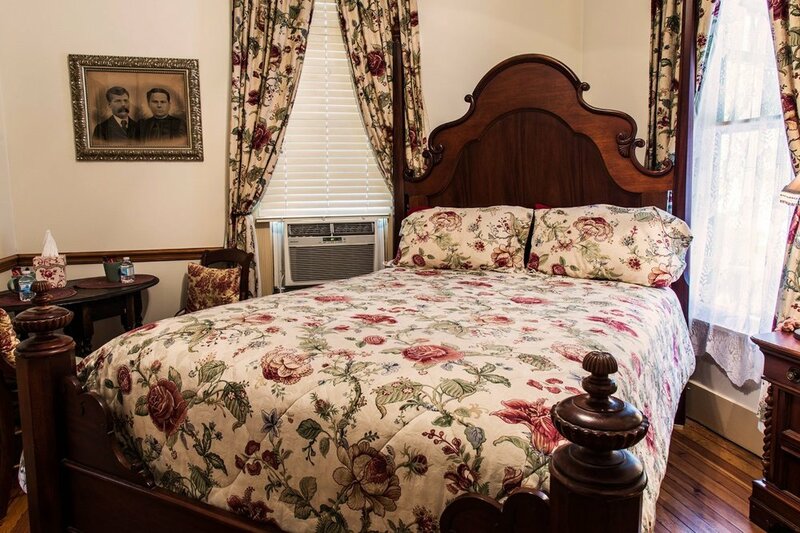 Journey through time to an elegant Victorian bedroom complete with European antiques, and combined with 21st Century amenities. This elegant room features a regal queen size bed with pillow top mattress, designer fabrics and linens in rich tones of deep burgundy, gold, and soft green. 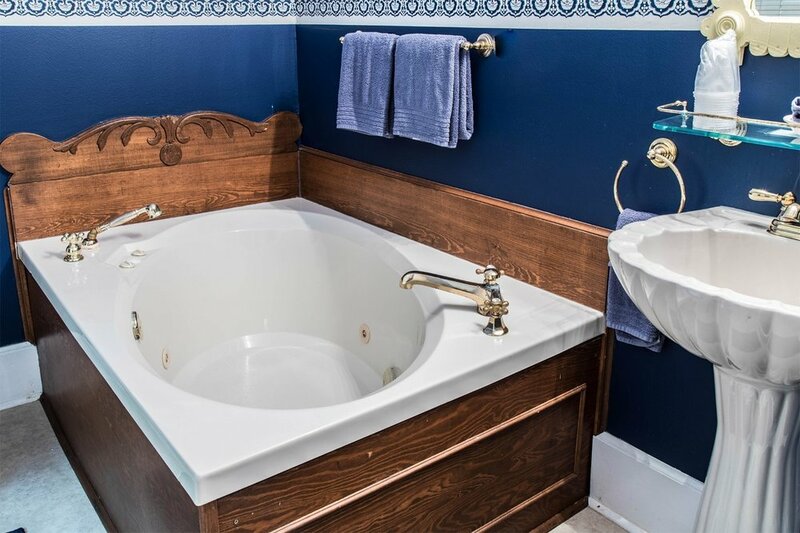 The suite's bathroom has a large hot tub (and shower), which provides a relaxing bath. 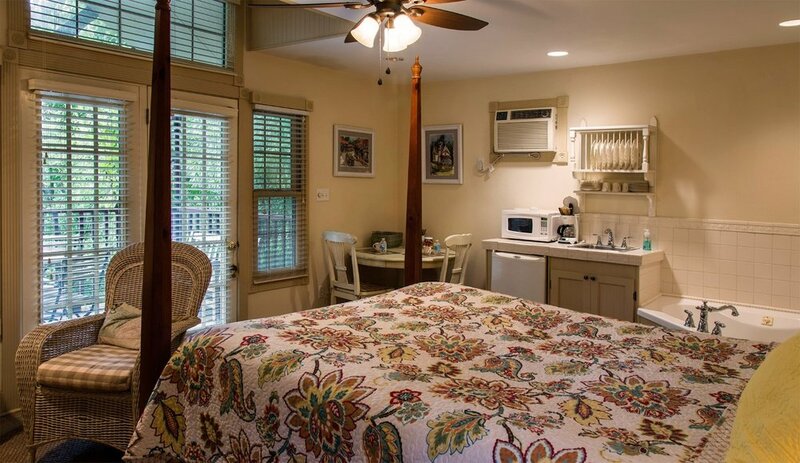 This room also features enhanced cable television for your viewing pleasure, gourmet coffee/tea supplies, as well as free Wi-Fi. Of course, do not forget our tremendous breakfast... delivered to your suite each morning. 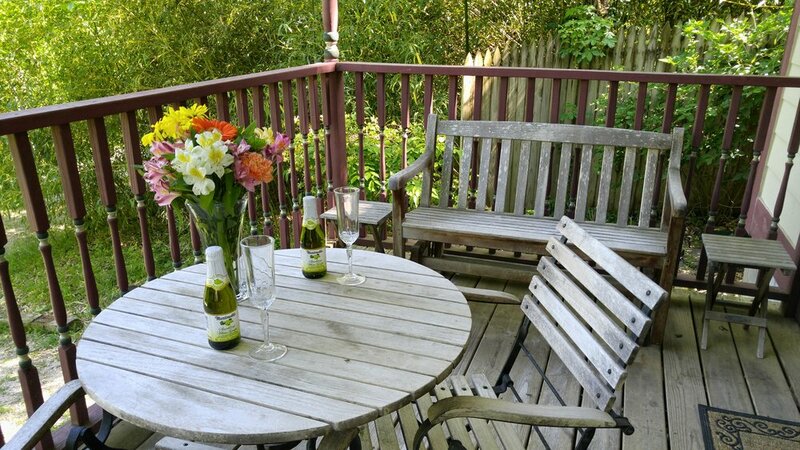 The Hillside Suite is situated on the lower level of the main house, only steps from our romantic rock garden and shared deck. The suite has its own entrance and is completely private. 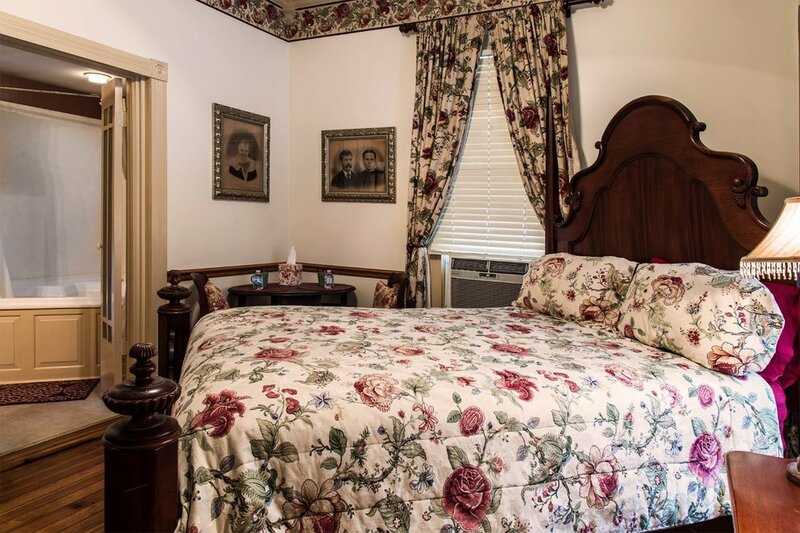 The suite has a spacious walk-in shower and a large bathroom. 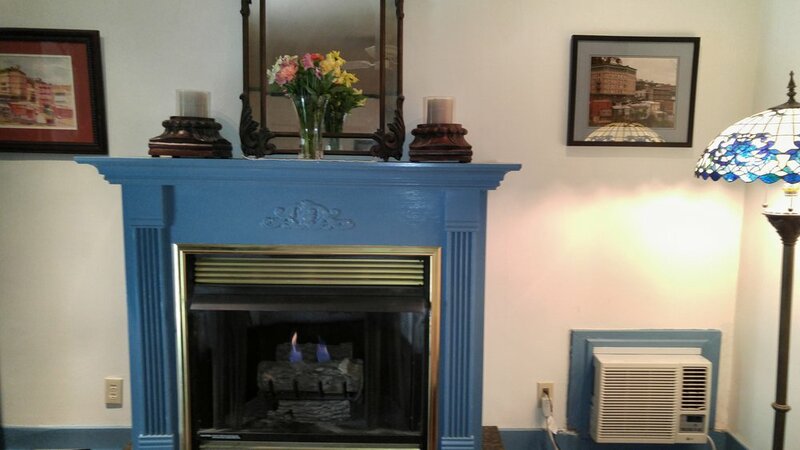 This room also features a gas-log fireplace, a spacious breakfast nook, gourmet coffee/tea supplies, enhanced cable television for your viewing pleasure, as well as free Wi-Fi. Of course, do not forget our tremendous breakfast... delivered to your suite each morning.